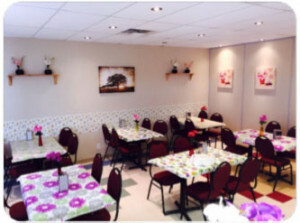 Tracy’s 640 Diner is a full service restaurant located on the George Gordon First Nation. It is open six days a week, closed on Sundays and Holidays. Opening and closing times are: 8:00 a.m. to 7:00 p.m. The restaurant features a full menu of comfort food influenced by Canadian and First Nation cooking traditions. Tracy’s 640 Diner is leased and operated by Ms. Tracy McNab, a local community member. She has previous experience operating a restaurant business and catering type services. 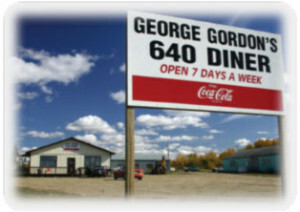 The 640 Diner was built by the community of George Gordon First Nation to provide a service within the community to members and visitors to the community. However, office space was needed and the restaurant was converted to an office. Recently, the Chief and Council have decided to lease it to a qualified entrepreneur through a bid to lease process. Tracy McNab was the successful applicant and has since converted the office space back into a thriving Diner. Tracy’s 640 Diner currently offers its full menu, take out & delivery, catering services and the Meals on Wheels program. Call today to get your lunch or supper served hot by delivery! 640 Diner: 306.835.2514. To serve high quality food at a great price, offering both traditional and healthy food choices for a wide range of customers. To establish a presence as a successful local restaurant. To make Tracy’s 640 Diner a destination for George Gordon First Nation and surrounding area.